Nigerian cross-dresser, Bobrisky, leaves no stone unturned when it comes to getting paid. He reportedly charged his London fans £20 to get a selfie with him. 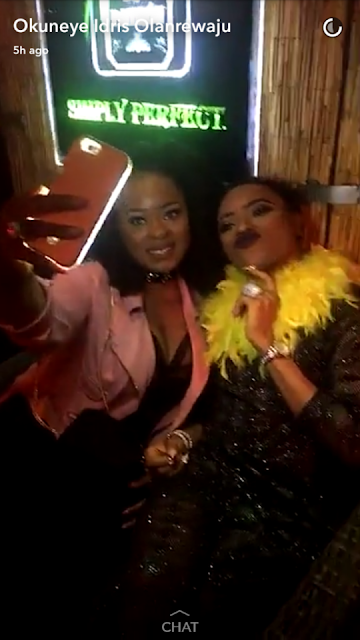 This happened at a recent event he organised in London tagged ‘Meet, greet and chill with Bobrisky’ which was held at the Northpole Shisha Bar, Greenwich High Road London, according to Punch News. A video posted on his Instagram page showed a fan spraying him with some Pounds notes while he was seated. This is coming a week after one of his customer, Timileyin Abiola, accused him of a scam. Abiola reportedly paid Bobrisky a sum of N30,000 for the purchase of a beauty product which was not delivered at the time of the report. The bleaching cream expert however denied the allegation. He appealed to his fans not to pay attention to unconfirmed stories about him.